God bless America and our love affair with our dogs. 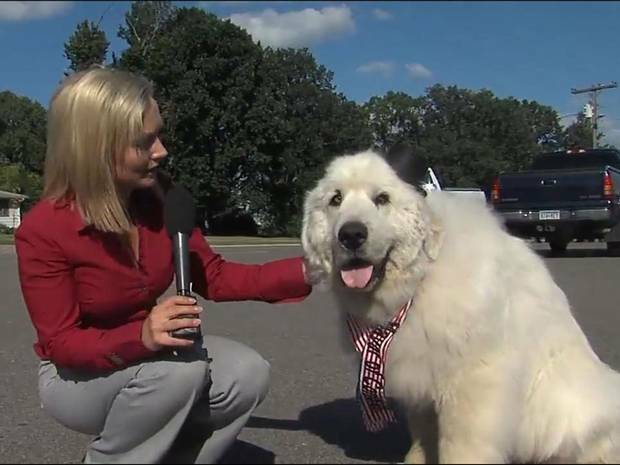 This week in Minnesota, a 7 year old Great Pyrenees named Duke was crowned the new honorary Mayor of Cormorant. 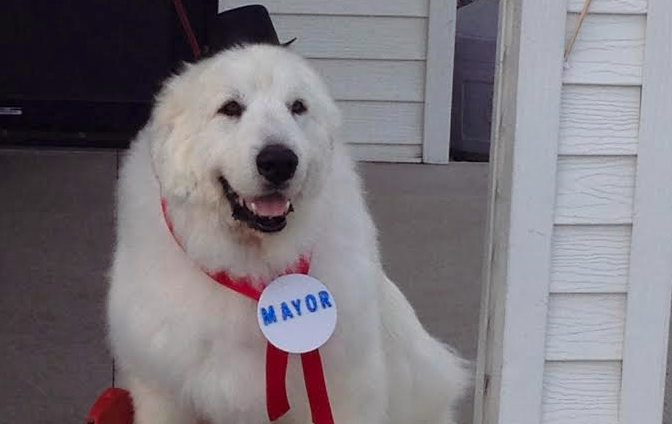 The dog won the town’s recent election ‘by a landslide’, taking all but 3 of the votes. A number of voters have spoken to the press stating that Duke guards the town making the community safer, and ensuring motorists do not break the speed limit, “He is a natural choice for Mayor’ says local resident Becky Wilmot. Twelve people in Cormorant each paid a dollar to cast the votes that saw Duke emerge from a five-week election as the overall winner. 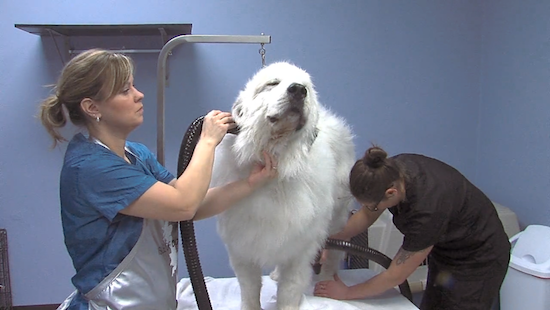 After the election, Duke was pampered with five hours of grooming and a new outfit. All part of the preparations for the many TV and local community appearances he will now be expected to make. Despite the small fact that Duke is not even human and had no control over his campaign efforts, he still proved a popular choice. 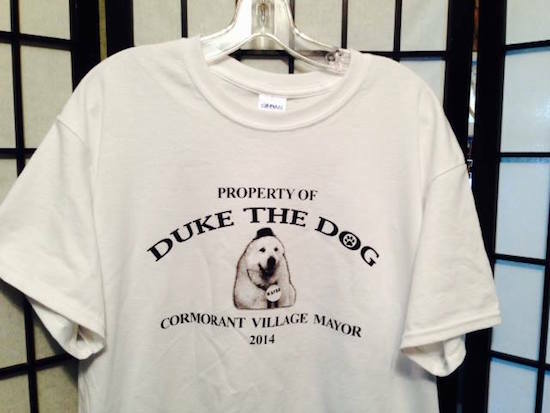 T-shirts with Duke as Mayor are already available. 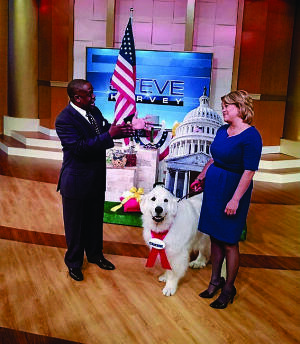 Duke was officially sworn in as mayor in a ceremony on Saturday. Due to the fact the standard mayoral salary would be of little use to him, duke will receive a one year supply of kibble to reward him for his services to the community. (Kindly donated by Tuffy’s Pet Food in the nearby village of Perham). If only more of our communities were overseen by canines.